Heat transfer is used to put designs onto fabric objects. 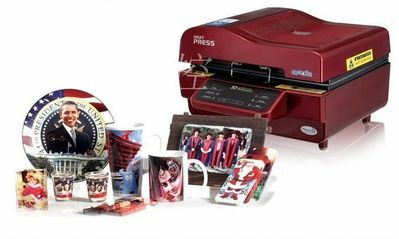 Heat transfer paper is a typeof paper printed with designs by which images can be printed on to the fabric. This technology is easy to operate and environment-friendly which is widely used in textile industry across the world. Products are not only delicate and beautiful but also washable and durable. which guarantee it fashionable and unique. With a small investment, you can install a total book binding solution that requires no set-ups or format changes, minimizes scrap, and handles most coated stocks. Most importantly, it has the versatility to produce both soft and hard cover books, notepads, and reports. 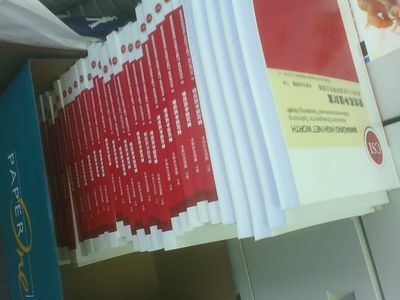 It is suitable for medium and short-run books. 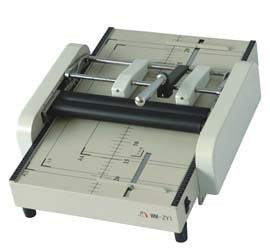 No need of complicated and expensive traditional large binding equipments. Due to growing acceptance of digital printing and collating, copy centers worldwide are able to expand their professional capabilities. One of the largest obstacles is counter space. Copy centers need to put a lot of machinery in a limited space. It's important that whenever possible, a machine perform multiple functions. Packaging, delivery and delay in waiting for the job from the print finisher, creates unnecessary cost and delays compared to the savings if a our machine is used. Staff training is a major issue if you have high turnover or a lot of finishing machinery. You need binding systems that are user-friendly and are fully supported by the manufacturer. Personalizing your customer's presentations. This additional capability could enhance your profitability and give you an advantage over your local competition. Time is money! For a short run, you can't afford long set-up time. our machines don't require setup time - you just turn it on and start to bind. Minimize or eliminate scrap. The cost of scrap goes directly to your bottom line. our machines make high quality, perfectly square binds day after day. 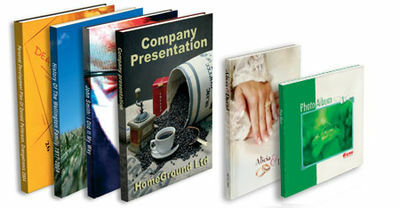 Perfect binding is very durable and stylish, your customers will be pleased with the result. You don't need buy different sizes binding Spines, you just buy one kind of Hot Melt glue. Our price: USD99/8.81lb. 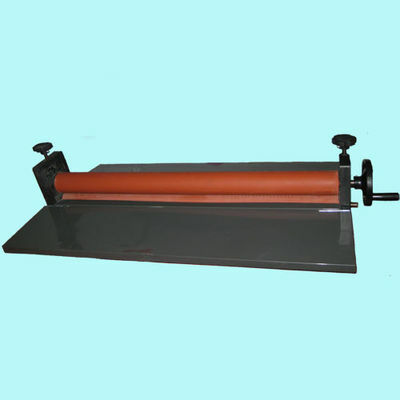 When using punching and binding machines the book collected for binding has to be first re-divided into bundles of maximum 10 to 15 sheets as the capacity of the punching stroke is a limiting factor. As an example a book of 150 sheets needs usually at least ten punching strokes. When punching the sheets you have to be very careful as any mistake in positioning the holes in any direction forms an obstacle for the binding element. Re-dividing the sheets into bundles for punching, careful punching and re-collating them in the right order to be bound, means unnecessary work and lost time. 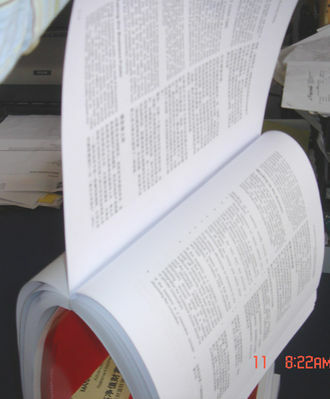 An automatized glue application,which ensures even and constant binding result s for on-demand or medium runs of book production and allows a “stand-by ” temperature selection. Ripper Wheel - This unit makes the machine suitable for handling the most difficult papers.The operator can control the number that need to be made to ensure a solid bind. with ripper wheel, bursts the paper surface and opens the grain, allowing the glue to penetrate deeply into the paper. it possible to keep the bursting process noiseless and paper dust free. S320D Perfect Binding machine+ D139 Hand Creaser. Price: USD1380. Feature: Mini-package of perfect binding . 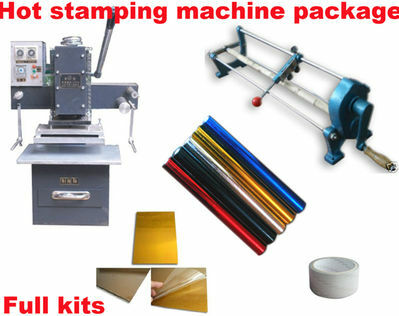 S320D Perfect Binding machine+ D139 Hand Creaser + 858A4 Manual Paper Cutter. Price: USD1570. Feature: Perfect book binding, creasing , paper cutting. S320D Perfect Binding machine+ D139 Hand Creaser + DW-100H Hard Cover Maker. Price: USD2149. 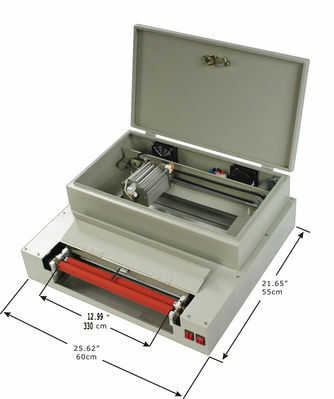 Feature: Suitable for one stop solution of book binding. Soft cover and hard cover book making. For advanced and delicate book making. S460D Perfect Binding machine + DW-100K Hard Cover Maker. Price: USD2750. Buy it now, Send 8.81lb glue free. 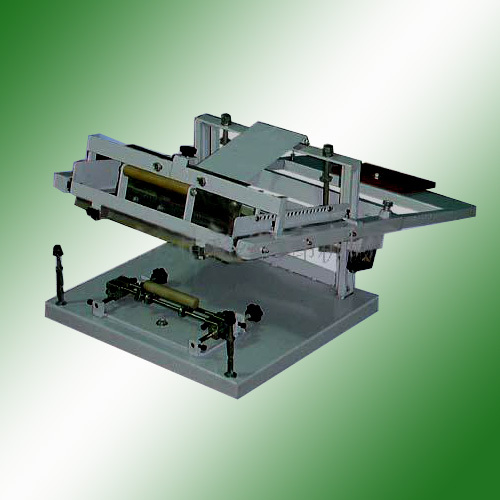 Feature: Suitable for one stop solution of book binding. Soft cover and hard cover book making. For A3 size advanced and delicate book making. 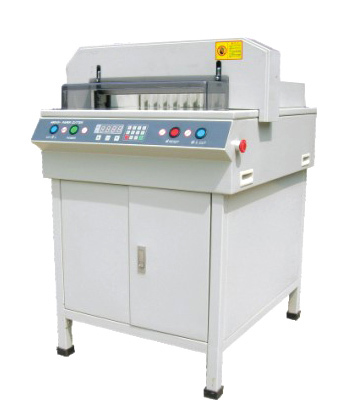 S460D Perfect Binding machine+ D180 Hand Creaser + DW-100K Hard Cover Maker. Price: USD2950. Buy it now, Send 8.81lb glue free. 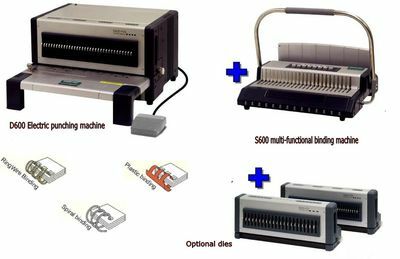 Feature: Suitable for one stop solution of book making. Soft cover and hard cover book making. For A3 size advanced and delicate book making. 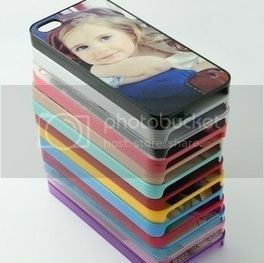 The sizes varies from 13.4'' to 63''. You can always get your right type from us. 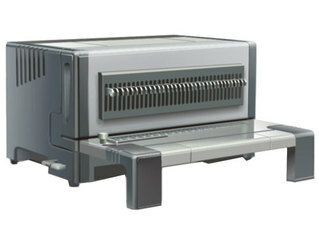 63'' Electric cold roll laminator . Stock in USA. 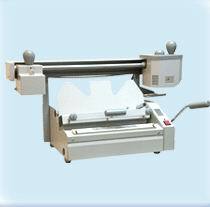 51'' Manual cold roll laminator. Free ship to USA. What exactly is Lamination ? The process of applying a film of plastic on the surface of any item is known as laminating. When plastic coating is added to any item it becomes tear-proof and water-proof, since the laminating film encapsulates the item completely by being bonded to both its sides. What are the Items that Benefit from Laminating ? 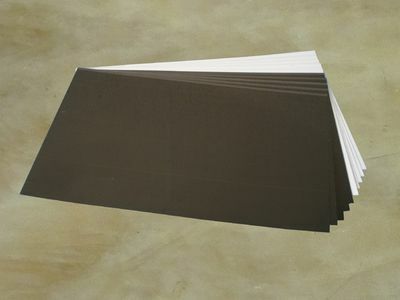 There are many items that benefit from lamination. For example, many types of paper documents are laminated in order to protect them from smudges, fingerprints, and other types of damage. Sometimes lamination is done in order to enhance the contrast and color of the item. Lamination can benefit items like menus, identification cards, instruction printed on paper, or any other item that is handles frequently. Lamination helps in keeping materials as good as new for many years, increasing the durability as well as preserving the color. In fact, laminated paper can be gifted, without requiring any additional frames or support.